Robin Hyde (whose real name was Iris Wilkinson) had a difficult life. She grew up to the constant refrain of parental arguments and experienced ill health in her adult years. Her intimate relationships with men did not last, and she suffered the death of one baby at birth and the loss of another child to foster care. She was often penniless. She committed suicide in 1939 aged 33. Despite all this, Hyde produced a small body of innovative work which remains interesting for its feminist politics and experimentation. 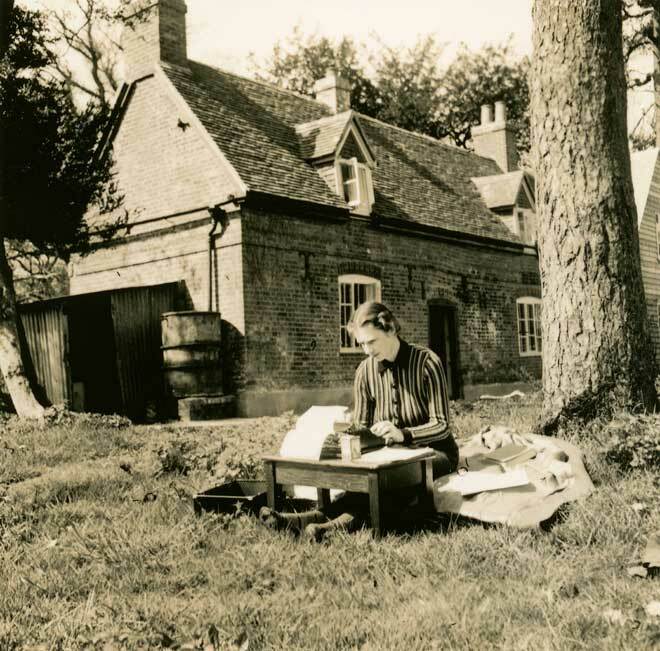 Here she is writing in the garden of a cottage in Wiltshire, England, in 1939, not long before her death.